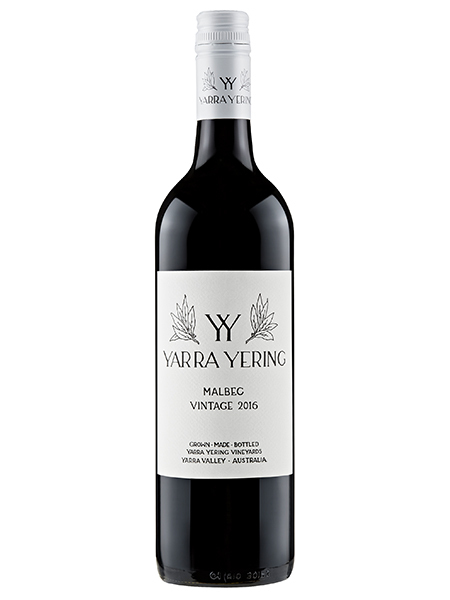 A straight bottling of Yarra Yering Malbec has happened only three times; in 1978, 2010 and now 2016. The decision was made as a response to warmer vintage conditions ripening Malbec into darker, more brooding fruit profile. 97 Points, James Halliday Wine Companion. Aroma: The dark fruit coupled with charcuterie and some savoury spice complexity joined by beautifully ripe tannins. Palate: A medium-bodied yet powerful style featuring a rich and velvety palate. Elegance combines with concentration, showing the characteristic tannin structure of this individual site. Hand harvested, the whole bunches sent across a sorting table then destemmed into the half-tonne open fermenters. Whole berries encouraged for fragrance and some element of carbonic fermentation for perfume. Hand plunged twice daily before pressing and gravity filled to French oak barrels; 15 months oak maturation. Vines: Fruit sourced from the 1969 planted Malbec. A straight bottling of Yarra Yering Malbec has happened only three times; in 1978, 2010 and now 2016. The decision was made as a response to warmer vintage conditions ripening Malbec into darker, more brooding fruit profile. Cellaring: Drinking beautifully at present and made to be approachable when young but it will also continue to evolve for a further 5 years under suitable cellaring conditions. Vintage 2016: 2016 began with a dry winter and spring with an unusually warm October prompting the vines into growth. An early harvest followed with Chardonnay first into the winery closely followed by Pinot noir.